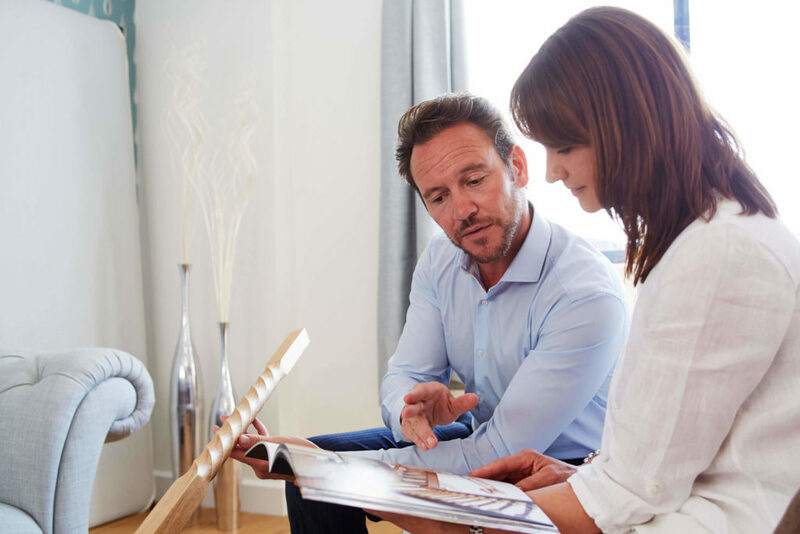 Whether you’re looking for inspiration or already know what you want, the first step to transforming your home is a design visit. Tap into our experience to develop a bespoke solution that you’ll love, with no obligation. A design visit is an opportunity to explore how you can turn your ideas into a reality. 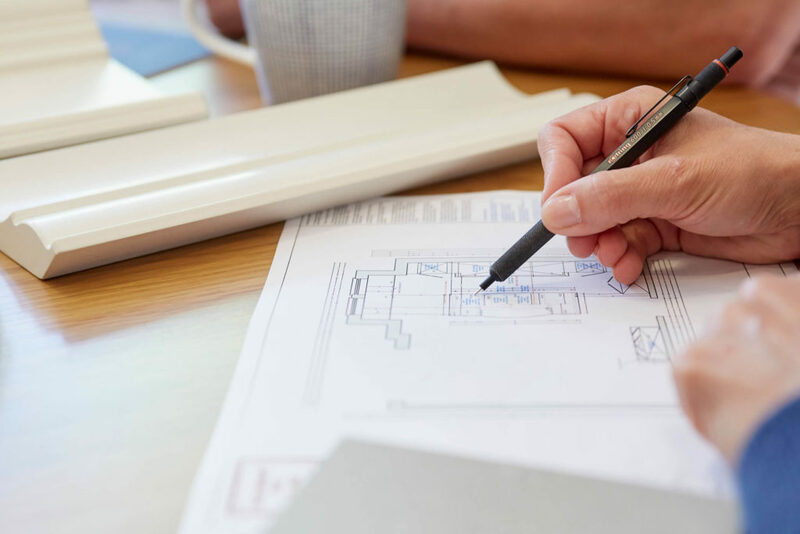 Whatever you want for your home, our skilled design consultants have the knowledge to make it happen, creating a solution that’s perfect for you and your lifestyle. The consultation is time to think big, explore the possibilities and define exactly what you want, in the comfort of your own home. Whatever stage of the process you’re at, a design visit comes with no obligation and no commitment from you. Design visit appointments are made at a time to suit you, fitting neatly around your lifestyle, just like our solutions. Having a design visit in your own home makes it easy to see what will work for your space. With Neville Johnson, there’s no such thing as can’t. Visualise how your design could look and get a feel for the luxury materials on offer with our high-quality samples. The talented designers at Neville Johnson have years of experience designing custom furniture solutions and innovative staircase renovations. Working with your ideas, likes and dislikes, they can advise on materials, layout, content and many other aspects of design that you may not have considered. Large homes, small homes, awkward spaces - every home can benefit from the expertise of a Neville Johnson design consultant. Years of expertise mean you can be sure you’ll receive the best advice on materials, layout and content for your design, resulting in plans that you’ll love. Your home has more potential that you could imagine. Our talented designers are here to help you unlock it and add a personal stamp to any space. You’ll receive the quality of service that Neville Johnson is renowned for right from the very beginning, with friendly, passionate designers giving you the best possible advice. Our new staircase looks fantastic. We’ve had lots of compliments and it has transformed our hallway. The whole experience was great from beginning to end, from discussing our requirements to the finished article. From the initial meeting with the senior designer to discuss our needs, to the surveyor and then the installer, we were extremely delighted with the end result. The installation process went without any problems. All the staff were very professional and we would recommend Neville Johnson without hesitation. I cannot recommend this company enough. From first contact we received very high quality service. We were informed as to everything that was going on, which was backed up by the necessary paperwork, plans and phone calls. The fitter was competent and the work he did we can’t fault. From the outset of our contract with Neville Johnson, we were supported with design choices, given expert advice and all deadlines were met. Everyone was courteous, knowledgeable and friendly. The craftsmanship is superb; our staircase is now an outstanding feature of our open plan lounge. 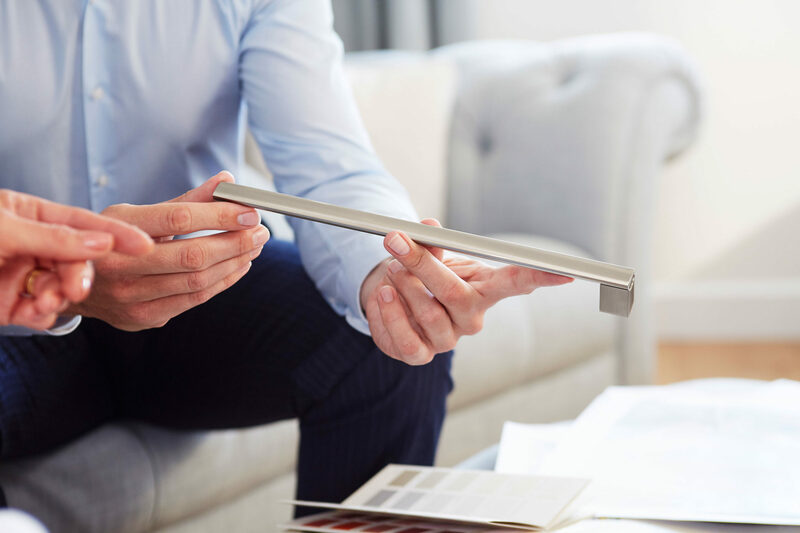 From our initial enquiry to the completion of our staircase, we have found all the members of the team at Neville Johnson to be very helpful, courteous and professional in all our dealings. The staircase has transformed our living space. We have been very impressed with this company from start to finish and would not hesitate to recommend them. Please complete your details below. A member of our team will then be in touch to arrange a visit and a brochure will be sent to the address given. Alternatively call us on 0161 873 8333. Which product would you like a design visit for?